NEW YORK – Oil has become more than just a luxury resource. For millions of Americans, it’s a necessity and the demand for black gold sends millions of gallons of the highly flammable crude oil through cities, towns and backyards across the country. The preferred mode of transportation from east coast to west is on railways but each year, accidents happen. On February 16, a train derailed in West Virginia resulting in an explosion and at least seven rail cars caught fire. Due to the volatile crude oil the train was transporting, dozens of nearby homes were forced to evacuate. “That incident was in Mount Carbon, West Virginia; a town with a population of around 400 people. Imagine if something like this happened on a railway near millions of people like the tracks around New York City,” train accident lawyer Steve Barnes said. There are thousands of miles of track used by more than a half dozen railroad companies in the business of transporting crude oil. 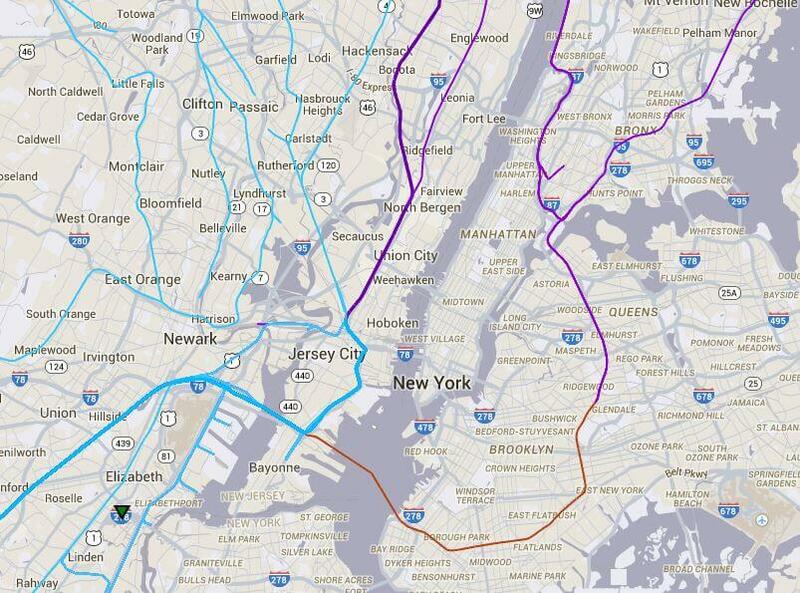 Many of these railways travel through New York metropolitan area. 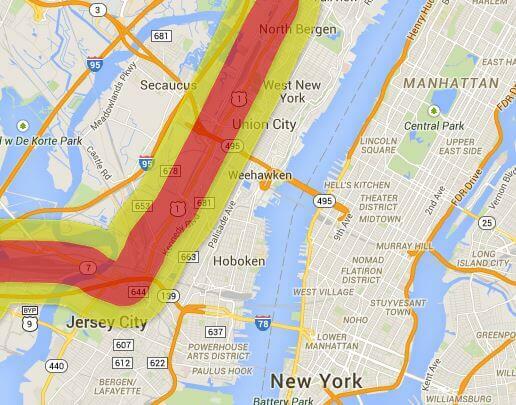 At the U.S. Department of Transportation (US DOT), federal authorities have mapped out half-mile-wide ‘evacuation zones’ and mile-wide areas that could be affected if another train accident were to occur. “These crashes not only cost billions of dollars in damage, they can put lives at risk,” Barnes said. The US DOT recently predicted there will be an average of 10 dangerous derailments every year for the next two decades. To see an interactive map of crude oil railways, click here. ROCHESTER, N.Y.- Car accidents happen in the U.S. about once every five seconds. Many of these crashes lead to severe and debilitating injuries for both drivers and passengers. Everyone inside a vehicle can be subjected to over 100,000 pounds of force in a typical highway accident. These crashes most often lead to traumatic brain injuries (TBI) and spinal cord injuries (SCI). According to the Mayo Clinic, car crashes and motorcycle accidents account for more than 35 percent of new spinal cord injuries each year. Motor vehicle accidents are the leading cause of SCIs, sending millions of people to the hospital each year. In cases of TBI, the Centers for Disease Control and Prevention estimate over 2.5 million people were treated in U.S. hospitals last year. 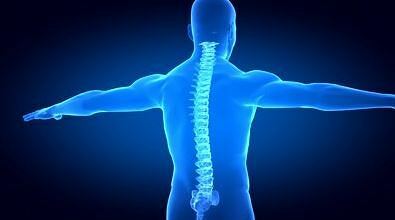 TBIs are most often caused by falls, usually among small children or the elderly. Experts say each case is different. Some people experience the effects of SPIs and TBIs for just a few days while others may develop disabilities which can last the rest of their lives. BUFFALO, N.Y.- In the world of motor vehicles, bigger is safer. At least, according to studies at the University at Buffalo, which states drivers in smaller cars were almost 10 times more likely to get seriously injured in head-on collisions. With the increasing popularity of “smart cars,” car accident attorneys say it’s more important than ever for drivers to pay attention on the roads. “These smart cars can weigh as little as 1,800 lbs. Imagine that in a head-on collision with an SUV weighing in at 6,000 lbs cruising through the city Buffalo,” car accident lawyer Ross Cellino said. Studies suggest it’s not always the weight of the vehicle which determines the severity of the crash. In several tests, a passenger car collided with an SUV, which had equal weight but the car was consistently in worse shape after the crash. Experts say a variety of factors, including the height and width of the vehicle can be the difference between life and death. “In many cases, we’ve seen an SUV ride and jump over the passenger car simply because it’s higher off the ground,” Cellino said. Although many passenger cars were issued good crash ratings, the odds of a car driver sustaining a serious injury were more than seven times higher than that of a driver in an SUV. Conversely, SUVs were usually more susceptible to rollovers but experts agree the larger vehicles are some of the safest modes of transportation on the roadways. Each year, nearly 6,000 people are sent to emergency rooms with severe injuries, often leading to disfigurement. Although deaths are rare, personal injury attorneys say snowblowers can lead to expensive surgeries and life-altering amputations. According to Nationwide Children’s Hospital in Columbus, Oh., more than 20,000 people, usually children, are rushed to emergency rooms for injuries sustained while sledding. Up to one-third of sledding accidents lead to head injuries. Icicles can form anywhere in sunlight or on top of homes with poor insulation. 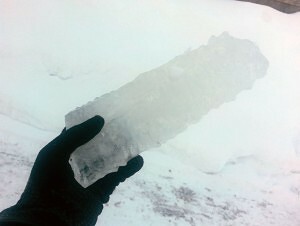 As heat rises in a home, it melts snow on the rooftop, which drips and forms a potentially dangerous icicle. The icy dangers can weigh hundreds of pounds and damage roofing. About 15 people die in America every year from falling icicles. Whether it’s skiing, snowboarding or ice skating, more than 150,000 people are rushed to hospitals every winter after getting injured playing winter sports. Over 40 people died last year as a result of these recreational winter activities. Another dangerous recreational activity, snowmobiling claims around 200 lives every winter. It’s estimated another 14,000 snowmobilers are injured on the trails. Its nickname is the ‘silent killer’ and for good reason: 400 people die from CO poisoning each year. Accident attorneys say in the winter, it can be particularly deadly. Of all the work-related accidents, falls are among the most dangerous. Over 800 people are killed every year after a fall at work, thousands more are injured. Ice adds to the risk. Thousands of people suffer mild to severe frostbite each winter as a result of exposure to bitter-cold temperatures. 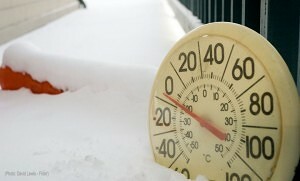 The Centers for Disease Control and Prevention (CDC) estimates 1,500 deaths can be linked to hypothermia every winter. One of the most common practices in winter is snow removal. It’s also one of the deadliest. Since cold weather adds strain to the cardiovascular system, it’s estimated that nearly 2,000 people overexert themselves shoveling and die as a result of a heart attack. About 12,000 are treated for shoveling-related injuries. Millions of drivers are on the snowy roads of America every day so it’s no surprise the number one winter killer is on four wheels. The National Highway Transportation Safety Administration estimates about 30 percent of all weather related car accidents are caused by snow and ice and with more distractions than ever, accident attorneys say drivers must pay attention on the roads and allow enough space for braking. NEW YORK – A simple ionic compound can keep roads clear of snow and ice but at the same time, it’s taxing to vehicles, the environment and transportation authorities. 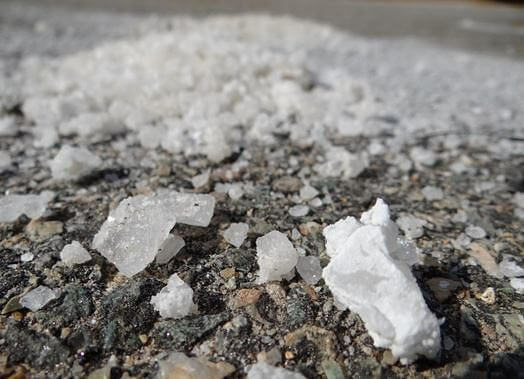 Sodium chloride has hundreds of uses but one major application is de-icing and anti-icing roads with the use of road salt. On average, a mid-size city in the northeast will spend approximately $1.5 million on salt every year, often buying over 30,000 tons of road salt for one winter season. For larger areas like New York City, it’s a good deal. Impassible streets can cost the Big Apple up to $700 million, according to the American Highway Users Alliance . State and local governments will spend about $2.3 billion battling snow and ice this winter but there are several drawbacks. Not only is road salt an expensive venture; it’s also taxing on the environment and the people it’s used to protect. 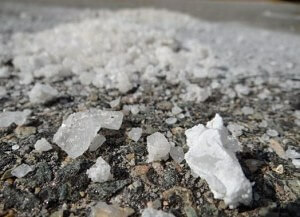 Other car makers reported salt was the main cause behind corroded wiring. Last year, Subaru recalled 670,000 cars due to salt-related issues which may have contributed to ineffective brake lines. To see if your vehicle has an open recall, click here. ROCHESTER, N.Y. – The snow continues to accumulate across Western and Central New York with another three to seven inches expected through the workweek. 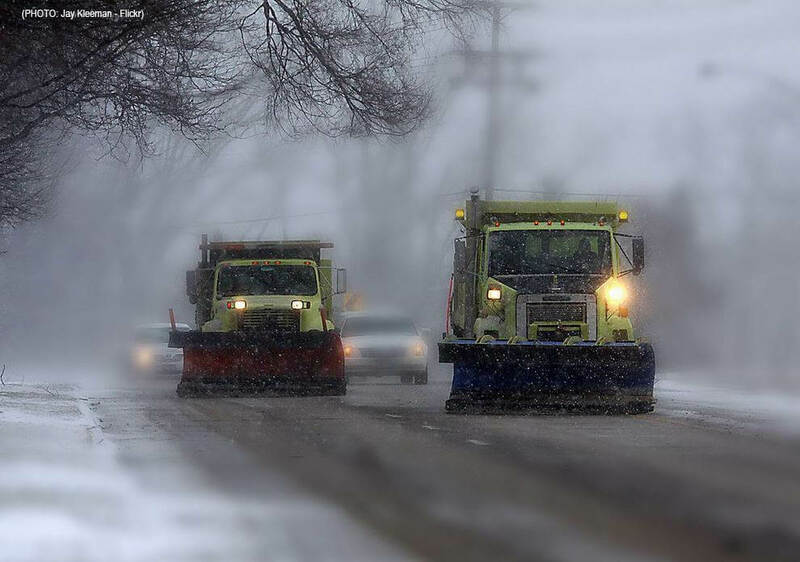 Snowplows are already working overtime, salting roadways to prevent ice from forming. The plows keep roads clear in the worst conditions, a necessary safety precaution for any major city. However, plows can also be very dangerous. Every year, New York State records dozens of accidents with snowplows. Rochester ABC affiliate WHAM reports one driver was killed after colliding with a snowplow Friday morning. On Wednesday, a woman riding her bike in Virginia was struck and killed by a snowplow. The crash was ruled ‘weather-related’ and remains under investigation. Snowplows are often pushing thousands of pounds of snow in windy storms, which can create a white-out effect. The snow removal keeps the roads in a safer condition for drivers but car accident attorneys say drivers always need to be careful around plows. Rochester car accident attorneys say drive slowly, keep a safe distance, and pull over for a few minutes if blustery conditions continue. NEW YORK – Studies show stressed drivers are more likely to be involved in an auto accident. Whether you’re shoveling snow, late to work, preoccupied with daily stresses, or just stuck in traffic, studies suggest you’re 30 percent more likely to get in a fender bender or worse. “Stress tends to peak during the winter when drivers need to be completely focused on the roads in New York City,” car accident attorney Steve Barnes said. 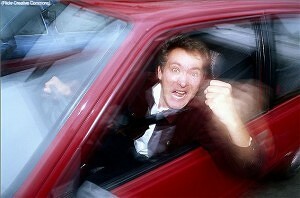 Some insurance companies have zeroed in on parents and drivers under 50 as being particularly prone to angry driving. Add the snow and subzero temperatures, lawyers say it’s a recipe for disaster. According to studies, the most common form of stressed driving is speeding and when a crash does happen, psychologists suggest it can increase stress on everyone involved. The American Psychological Association cited motor vehicle accidents as the leading cause of posttraumatic stress disorder (PTSD). “Even those who aren’t physically hurt in a crash can experience major psychological changes,” Barnes said. It’s estimated that at least 300,000 people every year will experience PTSD after a car accident. Studies suggest the number could be higher: with over 3 million reported accidents in the US every year, up to 1.8 million people may show signs of PTSD as a result of a wreck. BUFFALO, N.Y. – The week began by breaking a 111-year-old record for coldest temperature in Western New York. The -10 degree reading taken at the Buffalo-Niagara International airport set a new record, breaking the previous record of -8 set in 1904. Colder temperatures were recorded outside of Buffalo. In Dunkirk, New York, it hit minus 27. 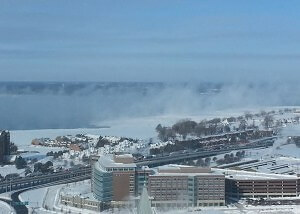 One of the coldest temperatures in the state hit negative 36 in Watertown. Power outages affected hundreds of homes in Southern Erie County and dozens of car accidents were reported throughout the day on Monday. Car batteries are often a struggle for drivers in subzero temperatures. Over the weekend, AAA reported drivers were facing up to a 12 hour wait for services in Western New York due to the demand for help. The best option for drivers is to stay inside during the arctic chill. However if you must leave the house, provide yourself ample time in case of a dead battery, traffic backups and always use caution on the roadways. BUFFALO, N.Y. – As the mercury dips below zero, hospitals across New York are preparing for more patient arrivals. The lower temperatures increase the risk of frostbite and hypothermia but some physicians are already seeing a spike in winter weather-related injuries. According to Catholic Health in Buffalo, doctors are getting more patients with snow blower, slip and fall injuries and chest pain. In colder temperatures, doctors say the cardiovascular system gets slightly constricted which can often lead to heart attacks and overexertion. For those working outside, there’s also an extreme risk for conditions like frostbite, which occurs when the skin is exposed to extreme cold for too long. Doctors suggest covering as much skin as possible with a layer of clothing to avoid exposure to the elements. The cold weather can also impact the surroundings, making your daily routine much more hazardous. Water can freeze in just minutes, depending on the surface type and location. Doctors and car accident lawyers suggest staying in a warm area, if possible. Otherwise, using sound judgment and wearing layers of clothing during a deep freeze can decrease your risk of injury. 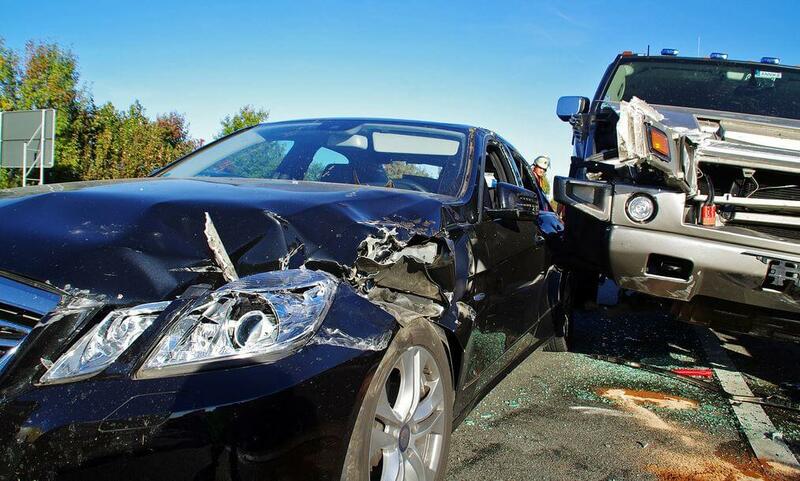 NEW YORK – It’s an unfortunate fact about driving: car accidents happen. Studies show motor vehicle crashes are one of the leading causes of death around the world and these dangerous accidents occur roughly once every minute. 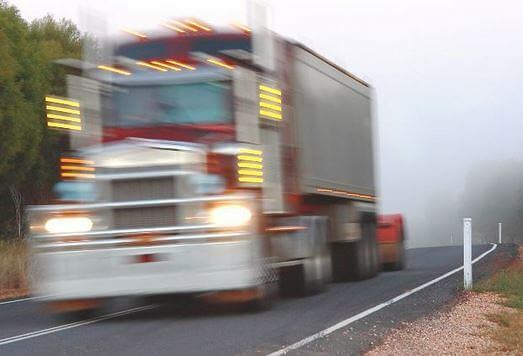 Crashes become even more dangerous when it involves a tractor-trailer or other large truck. According to the U.S. Department of Transportation, 4,000 people are killed every year in crashes involving big rigs. Hundreds of thousands more are injured. 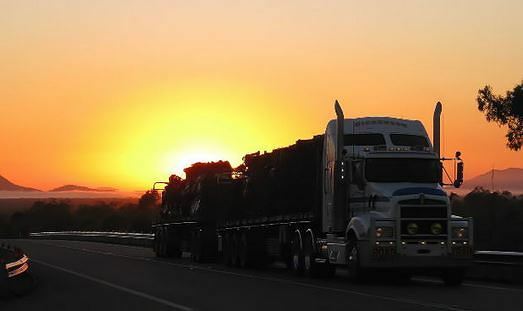 “These trucks are often referred to as the lifeblood of the economy. Statistically, they’re also some of the deadliest moving objects in the world,” truck accident lawyer Ross Cellino said. In the United States alone, more than 300,000 large trucks were involved in traffic crashes last year. Roughly 3,500 people died as a result of those crashes. According to the Insurance Institute for Highway Safety, 97 percent of those killed in truck-car collisions were occupants in the smaller car. Statistics also show truck accidents coincide with economic booms and busts. Fatal crashes involving large trucks are on the uptick; increasing between 2 and 4 percent each year since 2011. Tractor trailers often need twice the space for stopping room and blind spots are increased considerably around the truck’s side and rear. Accident attorneys tell drivers to have a heightened awareness while operating around large trucks.